Jay’s photograph of Didier Pironi’s Ferrari at the 1982 Detroit GP was the contemporary image on the cover of the P&P catalog along with the classic photo of the Delage race car by Jacque Henri Lartigue from the French GP of 1912. That photograph won Jay the Best Sports Stories competition of 1983. Jay is the foreground photographer with his telephoto lens stabilized by the concrete barrier. 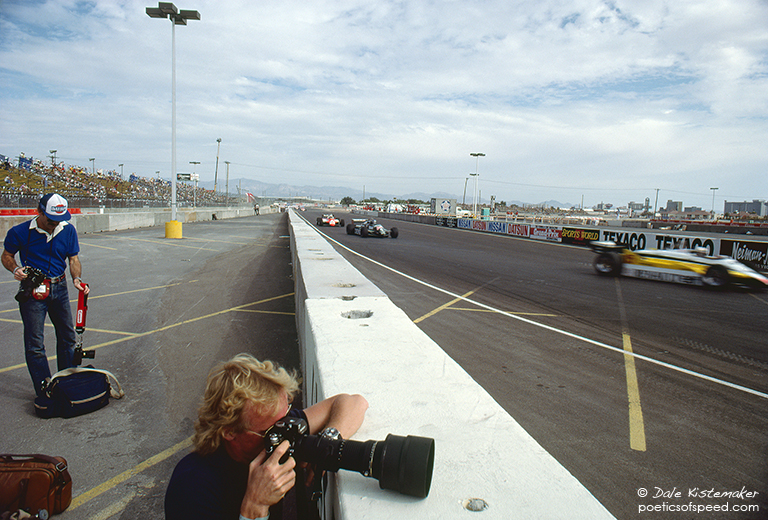 The other photographer is Bob Tronolone wearing the American Racing Press Association armband on his belt.